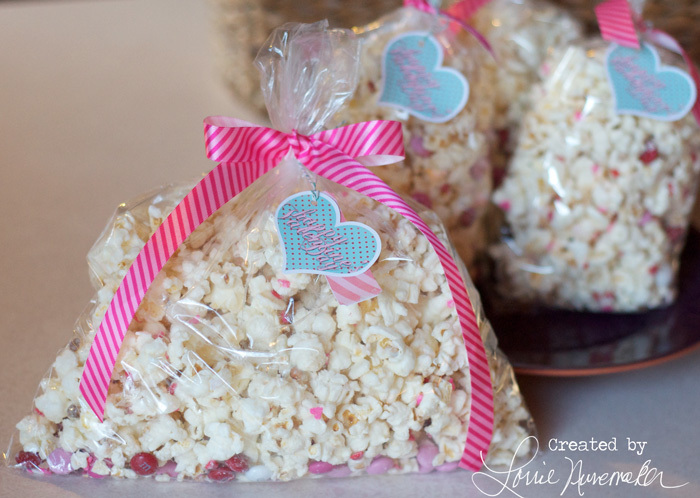 I whipped up some Popcorn Mix to give the kids and a few others for Valentines Day. I think this would be a fun teacher, neighbor or co-worker gift as well. It's very simple. We make this for different holidays, just change out the M&M's and Sprinkles. I used Heidi Swapps Digital kit called "For the Love" to make the cute little tags. Pop corn in microwave and place in large bowl. Melt candy melts in microwave or in double broiler. 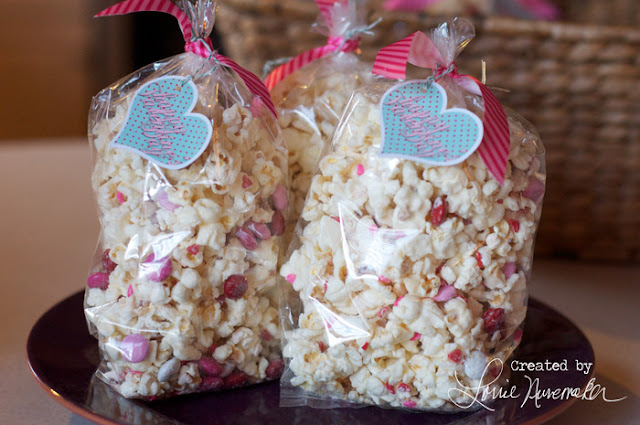 Pour melted chocolate over popcorn and add sprinkles, mix lightly. Lay popcorn on a cookie sheet to dry. Add M&M's after 2-3 minutes. When dry package as you like.